Dress for the job you want, not the job you have—so the saying goes. But we all know that’s easier said than done, especially when your salary doesn’t correspond with a designer shopping spree at Barneys. Luckily, there are are several tips and tricks on how to look like you’ve added a few zeroes to your paycheck. From chic color schemes to luxe-looking accessories, you can create a sophisticated work wardrobe that balances polish, style, and garners the respect and attention of your colleagues without breaking the bank. 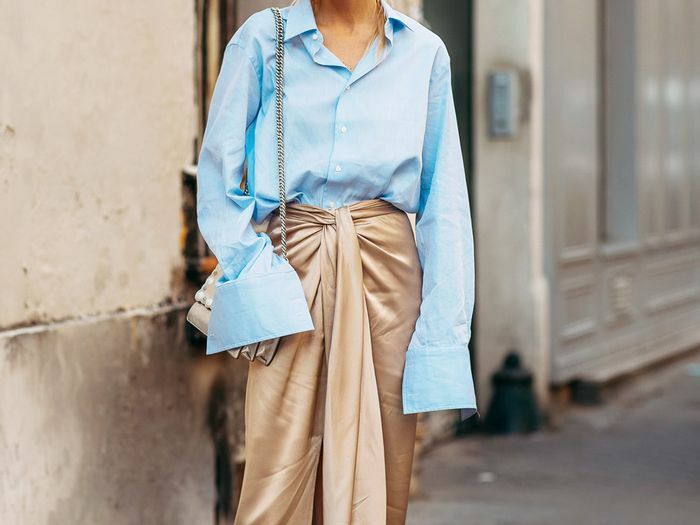 Scroll below to discover some handy tricks to faking an expensive outfit, and shop the items we’ve found for under $100 that look way more expensive than they actually are. 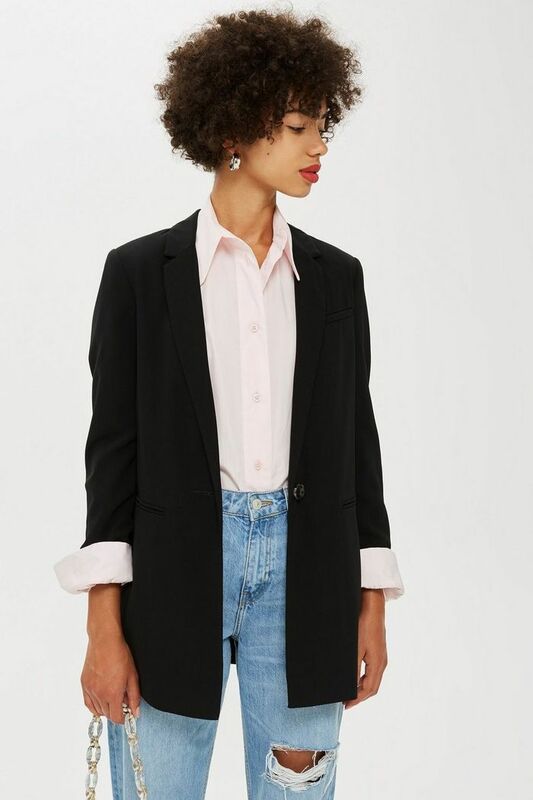 A great-fitting blazer in a versatile color (cream, black, check, or gray) will not only last a lifetime but also exude polish and sophistication. Wear your whites from head to toe for an elegant, six-figure salary look. Available in sizes 2 through 10. A classic, luxe-looking watch can unquestionably elevate any outfit. Well-maintained shoes are a foolproof way of looking chicer. Opt for an immaculate white or play with plush-looking textures like faux snakeskin and velvet. You don't have to spend a fortune on a designer handbag to look like you qualify for a higher tax bracket. Instead, look for a sharp and professional purse in shades of rich camel, burgundy, pastel, and black. A silky looking blouse or crisp (pressed!) white shirt in a smart and modern silhouette can take your outfit from zero to 100 in an instant. Don't forget those elegant finishing touches to your work outfit. Delicate and graceful earrings, necklaces, and bracelets will add a touch of sophistication. Say goodbye to your puffer and denim jacket throughout the workweek and instead opt for a longer length overcoat in pearly white, gray, camel, and black. Or a cultivated trench coat will always look chic. Up next, under-$100 accessory trends taking over Instagram.